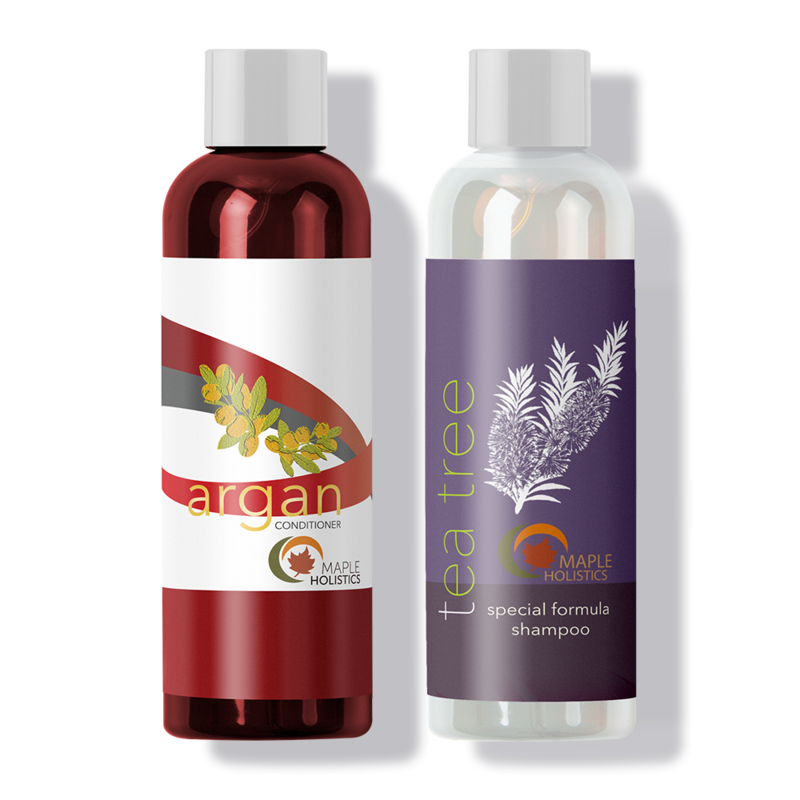 Calm your scalp and nourish your strands with our tea tree shampoo and argan conditioner set. 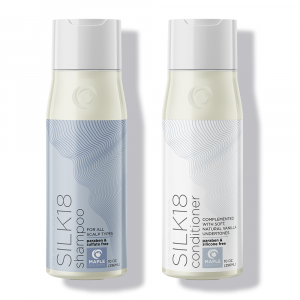 The dynamic duo balances your scalp and rehydrates hair. 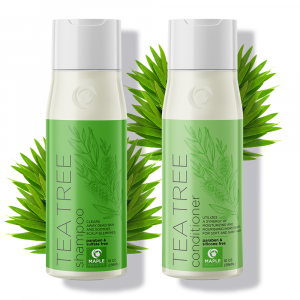 Tea tree shampoo deeply cleanses the scalp and soothes dandruff, dry scalp, itching, and flaking. 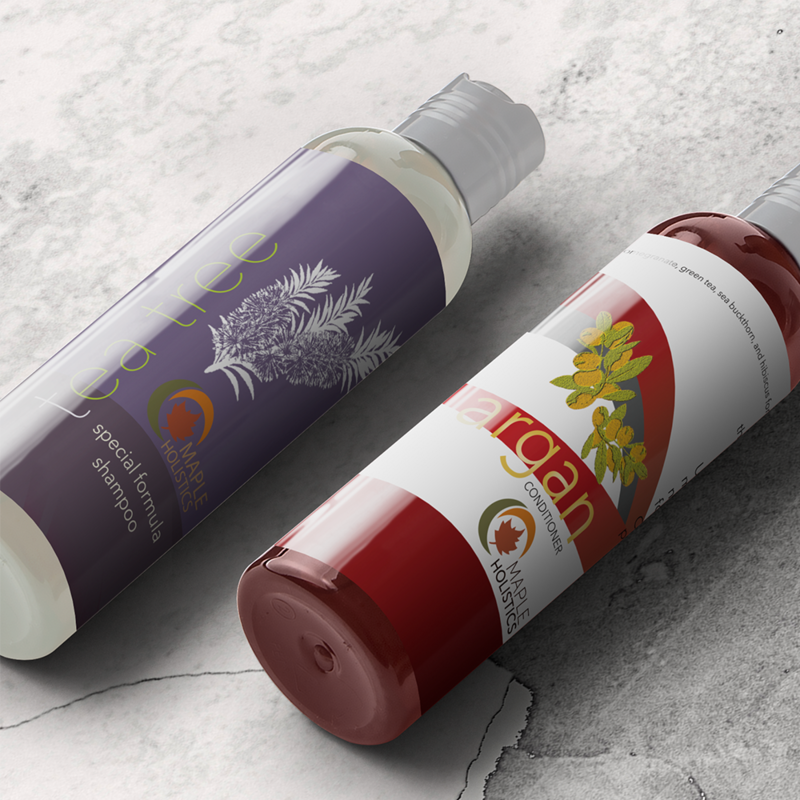 Argan conditioner adds moisture, softness, and helps repair dry, damaged hair. Both formulas utilize therapeutic essential oils to revitalize and transform your hair into vibrant, beautiful tresses. 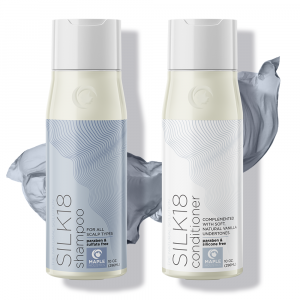 Our shampoo and conditioner set is sulfate, silicone and paraben-free making it great for all hair types, color treated hair, and sensitive skin. 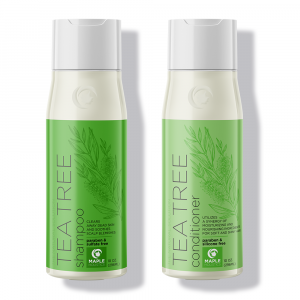 Tea Tree Shampoo: Aqua, Jojoba Oil, Botanical Keratin, Argan Oil, Tea Tree Oil, Lavender Oil, Rosemary Oil. Argan Conditioner: Argan Oil, Botanical Keratin, Peach Kernel Oil, Almond Oil, Jojoba Oil, Camellia Seed Oil, Natural Fragrance, Avocado Oil. This shampoo makes my hair very soft and shiny. It cured my itchy scalp and my hair is in very good condition now. So far I am regularly using it. 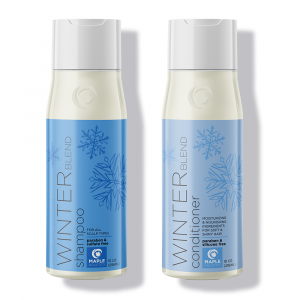 Fantastic holistic alternative to dandruff shampoo for itchy scalp. Been using since fall of 18. Shampoo in and leave in for 3-5 minutes. 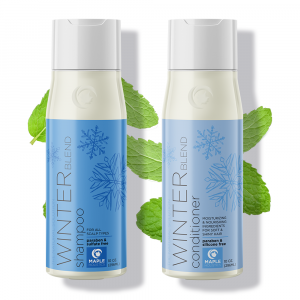 Leaves hair ready for conditioner and really helps to control oily build up and residual from products. Gets hair squeaky clean. Almost scent free too. 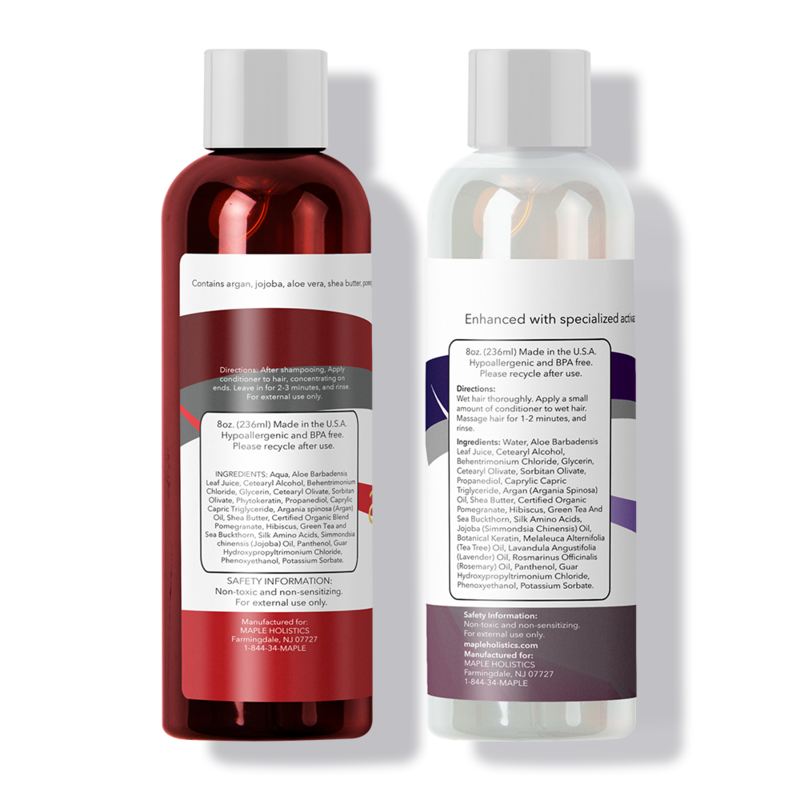 I use with pre-wash Magnesium spray to control hair loss. The combination works great for this post-menopause lady that was experiencing hair loss, thinning and dandruff!! Great product!!! I ordered tea tree shampoo, because I was looking for a natural product, without a chemical ingredients. I enjoy using it and I’ll definitely buy it again. 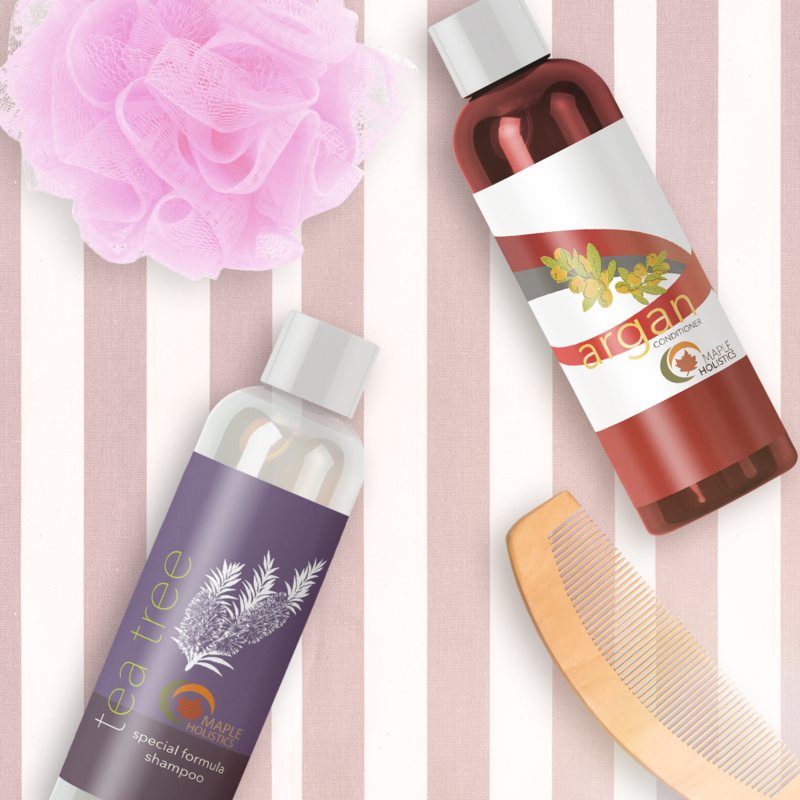 It has a nice herbal smell, it is very delicate and leaves my hair light and soft. I have a sensitive scalp skin and this shampoo works great for me. No itching, no irritation. Loved this combo, worked great for my hair! My itchy dry scalp problem has been resolved by using the Hydrate Tea Tree Shampoo.